The Crown, Netflix’s most ambitious and expensive original drama, had a reported budget of over US$100 million. The ten-part series charts the ascension of Elizabeth Windsor to the throne as Queen Elizabeth II, and follows the young monarch as she settles into her role as ruling monarch and bearer of the crown. This is a role that sets up a fundamental push and pull between the private and the public roles of a woman, a mother, a wife and a queen. Such an enormous budget and high-profile subject ensured that the series was met with significant fanfare. Most reviews have hailed the lavish production as a milestone for TV mega-series, but a number focused instead on The Crown as “history”. This misses the point. The Crown might be based on historic events and on real people, but this is costume drama at its most lavish and meticulously researched, not history. The British royal family are famously restrictive as regards open access both to the monarch and her family. This reticence extends in particular to laying open the complex emotional relationships between members of the royal family, the court and their interaction with agencies such as the British government. 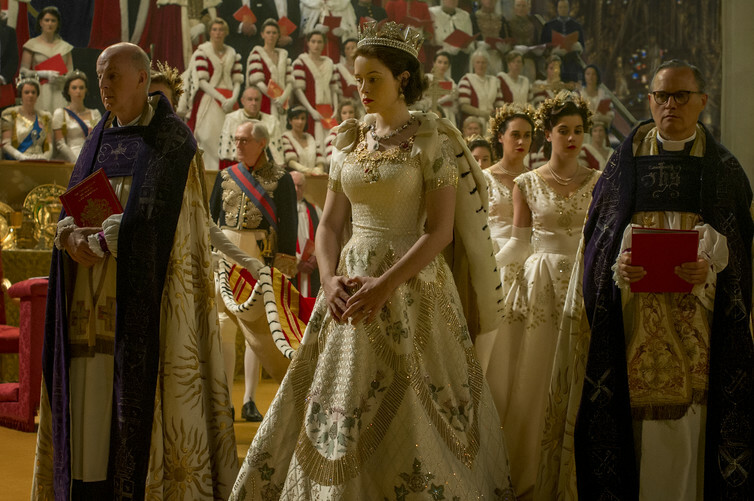 The Crown, with its gentle, and carefully paced storytelling, draws much of its narrative impact from focusing on the relationships between the series’ protagonists, especially Claire Foy’s Queen Elizabeth and Matt Smith’s Prince Philip. Needless to say, much of this relationship is fictionalised and visualises intensely private moments between the couple, such as Philip breaking the news of her father’s death to Elizabeth while on safari in Kenya. Historical sources all report on this sequence of events, but where the sources give no account of emotions and reactions and interactions, in The Crown, the viewer can witness Elizabeth’s sorrow and grief for her father, and the dawning realisation that this signals the end of any semblance of a private life she may have had as she steps into the footsteps of the King. One of the most compelling themes threading through the ten instalments of the series is this persistent tension between the public and private persona of the monarch. Queen Elizabeth II, in common with her female royal predecessors, Victoria (herself the subject of a recent TV serialisation) and Elizabeth I, remains defined by her gender and the seeming impossibility of a woman being able to rule “like a man”. Kingship, rulership, and leadership remain defined as fundamentally male characteristics and prerogatives, and in conflict with social expectations of women as wives and mothers. Queen Elizabeth I, “the Virgin Queen”, refused marriage to a range of possible suitors. This arguably allowed her a very distinctive approach to self-fashioning. In images such as the Armada Portrait, Queen Elizabeth I is depicted centrally, dominating the image, drawing the eye of the beholder to her person as the instigator of the events unfolding around her. She is flanked by images retelling the events of the failed Spanish Invasion of 1588, the crowning military achievement of her reign, while resting her hand on a globe and pointing to the new dominions of America she is colonising. She is every inch the thrusting, militarily aggressive leader, she is the self-contained Virgin Queen, the powerful monarch of masculine energy and force, the body politic contained in a female but androgynous body. But no such image suits a monarch at the cusp of their reign and of significant social change. Tudor England and Great Britain in the 1950s are very different places: one celebrating the ascendancy of a new Imperial power, the other the harsh reality of the busted flush of imperial power. The Crown plays on these notions of transformation and the creation of the public image of a new kind of monarch. The struggle sensitively and powerfully depicted by a superb Foy is the search for the identity of a female monarch for whom the “crown” necessarily becomes the “firm” – an role in which duty and public performance sit uneasily next to the more intimate, private life of a happily married wife and mother. Much of the appeal of The Crown for viewers (especially female viewers?) comes from the ability to recognise these struggles about identity, familiar in their own working lives, in the young woman they are watching on the screen. Foy here succeeds in injecting warmth and humanity into the very need for aloofness and performance of the monarch. Some of the most powerful exchanges centre on Foy and Smith at moments where their public and private worlds collide, for example at moments of intense grief and immense elation. The reticence and restraint expected of both in the performance of their official role conflicts with a more natural expression of these feelings. 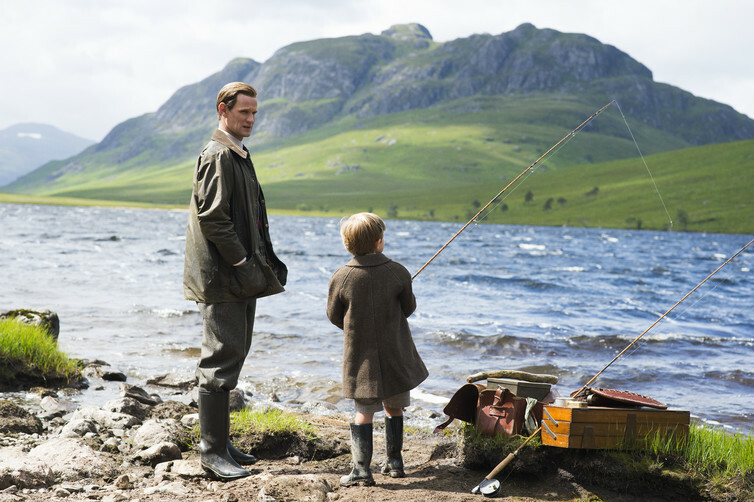 The series here often plays with settings and costume, with the action shifting from formal set pieces such as the coronation sequence in Westminster Abbey to the wild moors of Scotland. Space, either restricted, or wide open and seemingly without constraints, often sets the narrative tone. The budget is lavish, the locations are to die for, the wardrobe and settings are meticulously researched and the cast are stellar and uniformly superb – The Crown is as good a period drama as it gets. Hilary Mantel, the grand doyenne of historical fiction, defined one of the requirements of historical fiction as “conjecture [that is] plausible and grounded in the best facts one can get”. This is where The Crown excels. It certainly isn’t history, but historical fiction of the finest and most entertaining.